The iPhone 8 is going to be Apple’s most radical redesign to date as we’ve seen in the latest leaks. Up until now, we have seen plenty of renders, but nothing “real”. That is, until today. Benjamin Geskin on Twitter has offered up a video showing off an iPhone 8 made with leaked parts. 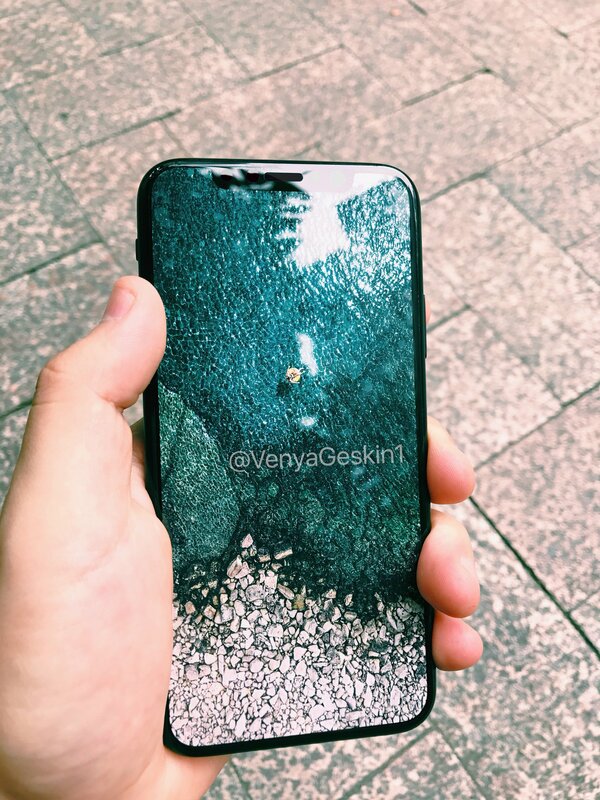 The overall design for the upcoming iPhone remains very similar to the iPhone 7, but boasts an beautiful edge to edge display. The iPhone 8 dummy unit was paired with a printed wallpaper off of the latest iPad, but looks very convincing. Add a screen protector on top of it and you have yourself a realistic iPhone 8 dummy unit. Like previous leaks, there is still no home button. That means Apple is most likely aiming to embed it into the display. The device is also expected to feature wireless charging for the first time on an Apple device. The newest Apple device is looking to directly target the features that have come on the Galaxy S8, and it looks like it is doing a good job in doing so.